Did You Read Twitter Was Hacked? It Was More Likely A Twitter Hack To Prevent Mike Melanson From Accepting Jesus ! Twitter Hacked – is more commonly read as ‘Twitter been hacked‘, with the word ‘hack’ used as a verb. It would mean that a cracker has been able to compromise the Twitter’s system for some malicious intent. Twitter Hack – is more commonly read as ‘A Twitter Hack’, with the word ‘hack’ used as a noun. It’s an alternative word for a Twitter fix; that is providing a solution to the bug found in the Twitter system. Yesterday most of us, active tweet-ers, have been captivated by the little blunder from Twitter which caused the general Following/Followers count to drop to 0 for almost all users. Why blunder you tell me? The simple answer that I can give you is this: “how can a social system of the calibre of Twitter allow such commands to be interpreted and process by their backend system?” I mean this is very lame if Twitter did assume that the probability of a user typing this command would be slim. And if in the event Twitter simply forgot to clear this remnant shortcut command, this is again lame. In any case, I’m not here to claim that Twitter is bad or wrong. My objectives are just to view it from a critical point of view which might otherwise been taken for granted or merely ignored. Besides, Twitter did a marvelous job in fixing down (aka provided a Twitter hack) those bugs in a couple of hours. This shows they are dedicated and caring to minimize discomfort in their user-base experience. What’s Up With The ‘Preventing Mike Melanson From Accepting @jesus’ ? Yesterday Mike Melanson who was experimenting with the Twitter Force-To-Follow bug, forced the Twitter user Jesus to follow him by simply tweeting ‘accept @jesus‘. Eventually, he blogged about how much cool he was to accept Jesus and make Jesus his follower. I think this was a creative idea from Mike and to turn this irony into a funny thing. Was Twitter Hacked Or Was It A Twitter Hack? My Final Opinion On All This? Again, I’m not here as a watchdog. 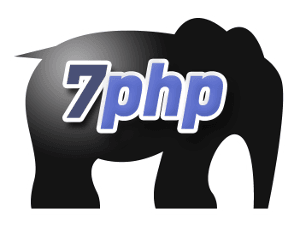 I’m here to share news and my view point on the PHP ecosystem which comprises the Open Social Media Web amongst others. But I would stress that whether it’s a hack or being hacked, the most crucial element here is ‘At the end of the day, the true reward is to see the community is the winner as a TEAM‘.